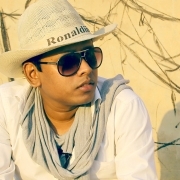 Ananta Mandal is an internationally recognized contemporary Indian painter. He is an expressive and imaginative painter. Mostly his paintings are created in impressionist manner and surrealist way in various mediums like watercolor, oil and acrylic. He has evolved a highly individual style, but at the same time it is deeply contemporary in its sensibilities. His paintings are best known for realistic urban landscapes. His brush stroke speak of many things: the bustling city life, the time endured old railway steam engine, tropical desert, and the many moods of nature. He has also gained recognition for his surrealistic paintings. 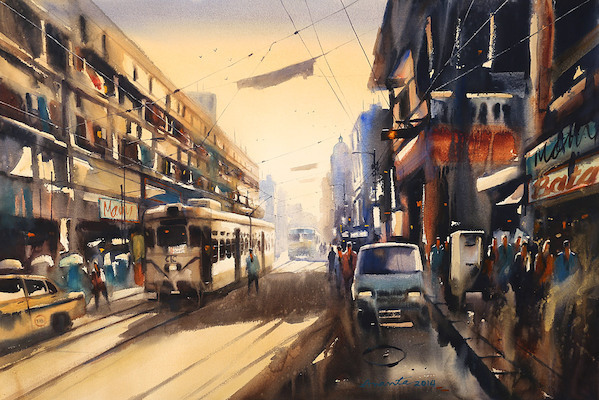 Ananta Mandal has got many national and international awards from various prestigious organizations which includes the First Place Award from 36th International Exhibition at the Watercolor Art Society-Houston, U.S.A. in 2013, The Winsor & Newton Excellence Award from Northwest Watercolor Society, USA in 2012, Award of Excellence from San Diego Watercolor Society, California, U.S.A in 2006, AIFACS Award - 14th all India Watercolor Exhibition, New Delhi in 2013, Award for Best Landscape in Watercolor from The Bombay Art Society, Mumbai, in both 2011 and 2006, and many more to mention. Ananta is a member of numerous art organizations, including Member of The Pennsylvania Watercolor Society 2012-13, San Diego Watercolor Society, U.S.A. - 2008-09, Philadelphia Water Color Society, U.S.A.- 2008-09, Life Time Member of The Bombay Art Society, Mumbai, Life Time Member of The Art Society of India, Mumbai. His work features in many corporate art collections and is purchased by various private collectors worldwide.